Julia Graduated from Penn Commercial Business/Technical School in 2014. Her passion for massage was realized at a young age when her great-grandmother would ask for back massages. 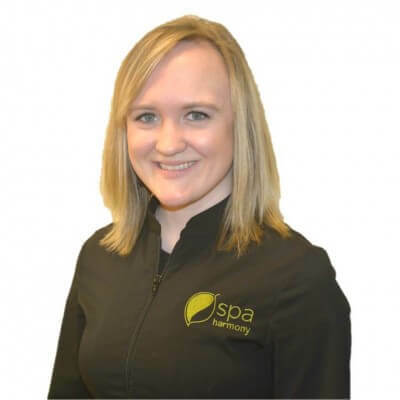 Julia enjoys working with a wide variety of clients from children to the elderly. She especially takes an interest working with athletes and those with chronic ailments. Every massage Julia gives is personally tailored to her client’s specific needs and wants. Stretching, range of motion movements, trigger point therapy, and other therapeutic techniques are often incorporated into each of Julia’s massages to relax muscles and try to help her clients feel relief from their specific ailments or complaints. Tamara is a licensed nail technician and esthetician. She attended South Hills Beauty Academy. She loves working in the beauty industry so she can help people feel good about themselves. 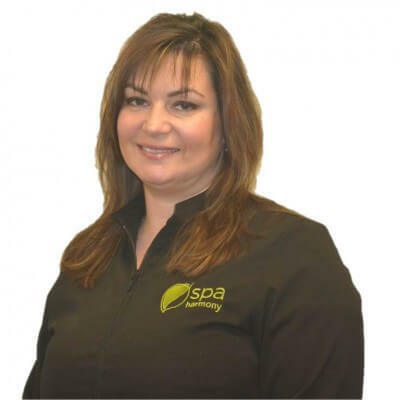 She believes in the services and products that are used and offered at Spa Harmony. 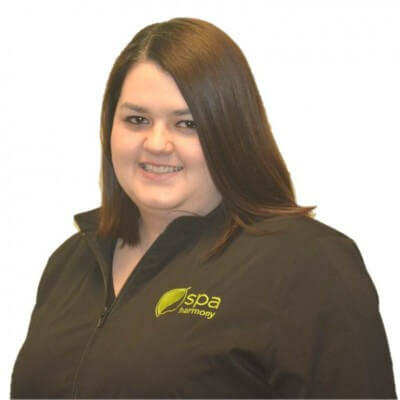 Johnna is a graduate of Penn Commercial School of Massage Therapy. 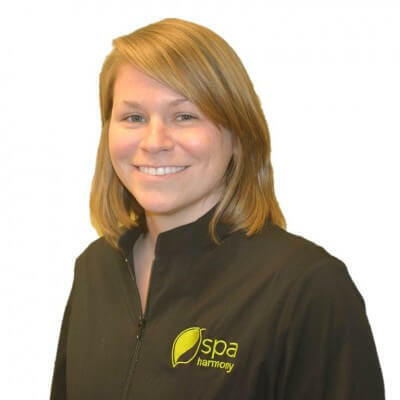 She uses an integrative approach specializing in Swedish, deep tissue, and pre-natal massage. Through compassionate and careful listening she addresses physical and energetic issues, gently ushering your body toward its own natural healing abilities. She strives to make each session on her table meaningful for your life that day, guiding your body toward peace, balance and relaxation. In her spare time, she enjoys wine with friends, a good book, and the Pittsburgh Penguins. When Samantha went to school to sign up for the cosmetology program she decided at the very last minute to sign up for massage therapy school. She couldn’t be happier with this decision and she loves being the reason that her clients feel less pain and discomfort. Valerie is originally from Hyattsville Maryland, which is located outside of DC. She graduated from Potomac Massage Training Institute in February 2017. 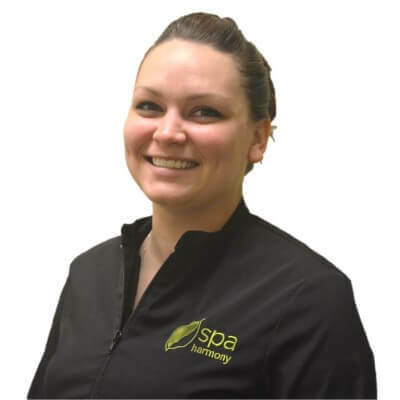 She quickly realized her passion within this field after she received her first massage. Ironically, this massage was scheduled during her training session for swimming, which made a huge impact on her interest. 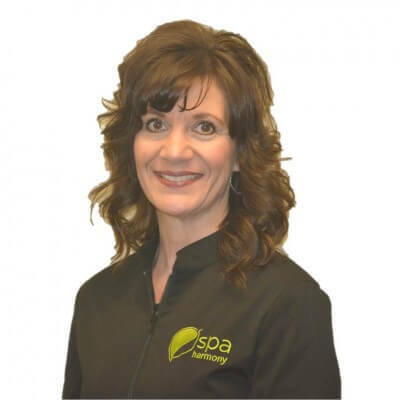 Valerie strives to create an individual client-centered massage for every member that she encounters to meet his or her specific needs at that particular time. Valerie’s background with being a collegiate athlete as well as being a certified personal trainer; has guided her to find her passion in working with individuals who find being physically active enjoyable. Peggy chose massage therapy as a second career to have flexibility in her life. She has always felt that she has energy to spare; consequently, offering others hands-on care was an excellent way to share her compassion and zest for life. Becoming a Reiki master therapist, lymphatic therapist and cancer massage therapist were just icing on the cake! Paige received her massage education from Pittsburgh School of Massage Therapy. 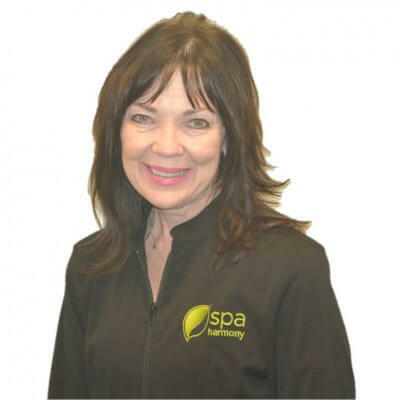 She has been at Spa Harmony since 2012. Paige finds being a massage therapist a rewarding profession. She is privileged to assist people with their health and over all well-being. 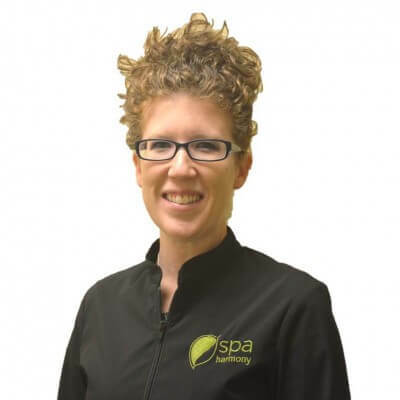 Paige is a massage therapist who aids people in relaxation and brings health benefits for many different aliments. Nancy is a nail technician who is dedicated to making your nails look flawless. She has a deep desire to make her clients feel beautiful, both inside and out. From comfortable conversation to her nail artistry, Nancy always strives to make sure you leave feeling your best.